On An Overgrown Path: Are we ready for an Islamic interpretation of Wagner? Are we ready for an Islamic interpretation of Wagner? And so, the Grail was nothing other than the Black Stone of the Ka'aba, the central shrine of the world's last religion, purified judaeo-christianity, Islam. 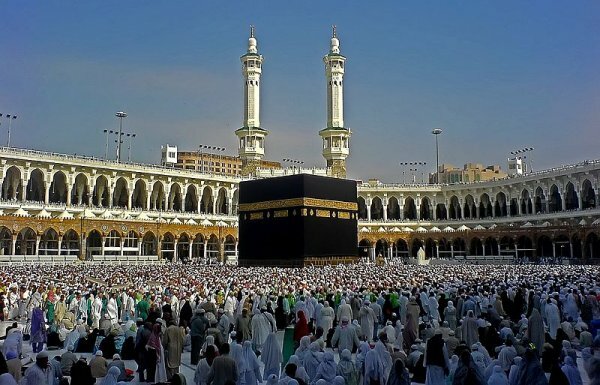 Makkah is named in the Qur'an as the Mother of Cities, and thus the 'birthplace of all nations' and the Ka'aba is named the 'primal shrine of all mankind'. Embedded in one corner of the Ka'aba stands the Black Stone which every muslim raises his lips to and kisses when he arrive dusty and exhausted as a pilgrim, kisses as if quenching his thirst. This is the extraordinary tale that Wagner has, partly despite himself, and partly aware, chosen to tell the world in his farewell revolutionary message. Both the Bey of Tunis and Abd al-Hamid II, Caliph of Islam, contributed to the foundation of Bayreuth, they had not yet heard Parsifal, but their hearts drew them to this most spiritual of men among men in an age of darkness. When Parsifal ends in its vast serenity, 'One of the most beautiful edifices in sound ever raised to the glory of music' as Debussy described it, a white dove descends and hovers over Parsifal - symbol of peace which in Arabic bears the same root 'S-L-M' as pure religion itself, Islam. This year we celebrate the Wagner bicentennial and tonight Daniel Barenboim and the Staatskapelle Berlin open their Ring cycle at the BBC Proms. Which means the media is full of 'Jewish conductor Daniel Barenboim defends performance of anti-Semitic Wagner's Ring cycle' and 'Bayreuth director to face court over Hitler salute' stories. Newsworthy maybe, but what's new? Well actually what is new is the discovery of an Islamic perspective on Wagner that deserves serious consideration. That quote above comes from a Sufi Shaykh's book on Wagner, and here is the story behind it. 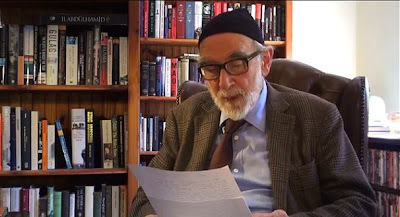 In April 2010 I wrote about the Muslim teacher and prolific author Abdalqadir as-Sufi. Born Ian Dallas in Scotland in 1930, he was part of the London media scene in the 1960s where his work included adapting classic novels for the BBC and appearing in the Federico Fellini iconicc 8½. The folklore of the '60s credits him with giving Eric Clapton the copy of the ancient Persian Sufi parable Layla and Majnun that inspired Clapton's song Layla. In 1967 Dallas converted to Islam in Morocco and became Abdalqadir as-Sufi. After founding the Ihsan Mosque in Norwich in 1977 he started the Murabitun World Movement in Granada, Spain. He went on to open a centre for the education of Muslim leaders in Cape Town in 2004. While Abdalqadir as-Sufi's Murabitun World Movement takes a liberal position on terrorism (against), veiling (against) and social welfare (for), its alignment with the orthodox Salafi movement on other matters is more contentious. He has also courted controversy in the Muslim world by accusing the Saudis of choosing wealth over theology. Sufism has been a long-running strand On An Overgrown Path and two years ago I asked Was Wagner a Sufi? There was no connection between this post and the one about Ian Dallas other than the obvious common thread of Sufism, but in the second post I explained "One of the many wide-ranging definitions of a Sufi is a seeker of inner wisdom, and using this definition Wagner and many others can be categorised as adepts". When I wrote that in October 2012 I was unaware of the extraordinary coincidence that Abdalqadir as-Sufi writing as Ian Dallas is the author of a noteworthy and completely overlooked book on Wagner, the book in fact which my opening quote is taken from. Quite appropriately my detective work uncovered the book earlier in 2013, and I offer this discussion of it as my modest contribution to the Wagner bicentenary. That is Ian Dallas aka Abdalqadir as-Sufi in the photo below. His book The New Wagnerian was published in Granada in 1990. Before discussing its themes the point should be made strongly that The New Wagnerian is not a lightweight misappropriation of Wagner by a radical Muslim cleric. Yes, it is a slim 171 page volume. But make no mistake, Ian Dallas knows his music, he knows and loves his Wagner and can really write - he dismisses Ernest Newman's writings as "tedious tomes" and his prose bears comparison with another great champion of Wagner, Bernard Levin. More than three quarters of the book is taken up with erudite but idiosyncratic analysis of Wagner's music dramas, and these sections only hint at the overt Islamic agenda that emerges in the concluding chapters. The New Wagnerian is multi-layered and can be read as an appreciation of Wagner and his music, as a portrait of a political activist, or, most controversially, as an Islamic interpretation of Wagner. The key to appreciating the book is first understanding the three agendas that pre-occupy the author both as Abdalqadir as-Sufi and Ian Dallas. (For simplicity I use the latter identity in all future references). The first theme is coupledom, the "tragically unattainable dream" of the union man and woman, a theme that also, of course, preoccupied Wagner both in his music and personal life. Dallas finds much in Wagner's oeuvre to explore on this subject and draws parallels between the annihilation of self-hood by the lovers in Tristan and Isolde and the self-annihilation sought by Sufi adepts. The need is not to locate the action of the Ring in science-fiction settings or overload it with psycho-analytic symbols... the need is to think about Wagnerian vision and see it as well as hear it, grasp it as well as surrender to it". European man is radically less free in today's so-called democracies than he had been in the Third Reich. Police today have more far-reaching powers and legislative support for arbitrary arrest than ever in history, and the computerising of citizens' records assures their all but helpless political condition, to say nothing of the danger in which they may lie from technologised torture. Dallas sees the Ring as "inescapably a political work" and appropriates its revolutionary themes to support his advocacy of rule by a theocratic leader. Despite the quote in the previous paragraph and provocative rants elsewhere he does not express any sympathy for Hitler's doctrines - "neither the Second nor the Third Reich could claim Wagner, nor, for that matter the banker's new united Germany", but shares Wagner's admiration for the German volk and the legacy of Goethe and Beethoven. Perversely, Dallas rejects democracy but supports personal freedom, advocating a Gurdjieff-like programme to "demotivate man from robotic continuity" and thereby destroy the state system, explaining that "it is this theme that vibrates and evolves and is so profoundly meditated throughout the Ring, and aspects of it vibrate through all the Master's works". "In reality the usury system is mathematically doomed to ultimate collapse, and the real meaning of democracy is that people have been granted limited rights to social order in the imperium, but utterly forbidden access to the world's wealth". In his final chapter 'Wagner and Religion' Ian Dallas cuts to the Islamic chase and interprets Wagner's repeated rejection of Judeo-Christianity as leaving the door wide open for the third great monotheistic tradition. Wagner's longed for 'one religion and no state' is revealed as Islam and the small problem that there is only limited evidence to support this is dismissed with the explanation that "Wagner has, partly despite himself, and partly aware" written the first Islamic music drama. The main evidence produced to support the Islamic sub-text is Wagner's 1852 assertion that the 14th century Persian poet and mystic Hafez "is the greatest and most sublime philosopher". Ian Dallas dismisses the "small group of confused christians who look to Parsifal to uphold their bizarre religion of ritual homeopathic anthropophagism" and instead gives us a full-blown Islamic interpretation of Wagner. As with all other quotes this one retains Dallas' subjective capitalisation. So are we ready for an Islamic interpretation of Wagner? I sincerely hope we are, even if it does not meet with our approval. The dissenters will certainly be in the majority, but Ian Dallas deserves praise for taking us far beyond our comfort zone, which is more than most current Wagner bicentennial are events are doing. Jungians, Christians and other Western groupings have given us their perspective on Wagner, so why not Muslims? And Ian Dallas would not be the first to controversially reinterpret a musical masterpiece: as recounted here previously, that great patriotic anthem Jerusalem started life a a recruiting song for a syncretic spiritual movement. There is much to relish in The New Wagnerian, but also much to question. But that can also be said of Wagner, who we are celebrating so enthusiastically this year. Now does anyone know of any books about Britten and Sufism? - The New Wagnerian by Ian Dallas (ISBN 844047475X) published by Freiburg Books, Granada, Spain. See note below on availability. - Text of presentation by Abdassabur Kirke on Ian Dallas' writings. 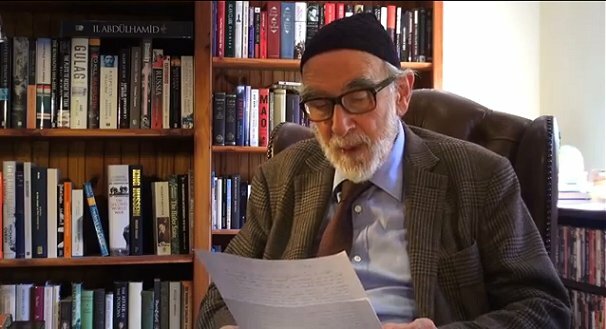 - 'The work of Shaykh Dr.Abdalqadir as sufi' at Ummah, the online Muslim community. ** It appears that the Islamic publisher Bookworks in Norwich - with which I have absolutely no connection - has the small remaining stock of The New Wagnerian. Copies can be bought from them via Amazon. The Bookworks also publishes Ian Dallas: Collected Works which includes The New Wagnerian and his highly recommended Sufi novel The Book of Strangers. - The Ring with Daniel Barenboim and the Staatskapelle Berlin on July 22, 23, 26 and 28. - Tristan and Isolde with Semyon Bychkov and the BBC Symphony Orchestra on July 27. - Tannhäuser with Donald Runnicles and the BBC Scottish Symphony Orchestra on August 4. 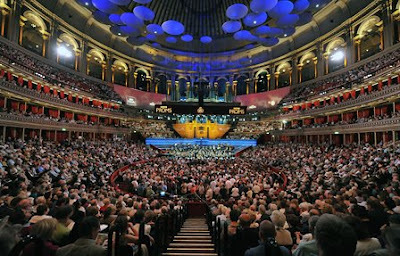 - Parsifal with Sir Mark Elder and the Hallé Orchestra on August 25. **** Ian Dallas' interpretation of Wagner will almost certainly meet with disapproval. But there are interesting similarities between my header and footer photos. Also on Facebook and Twitter. No freebies involved in this post. Any copyrighted material here is included as "fair use", for the purpose of study, review or critical analysis only, and will be removed at the request of copyright owner(s).